For the first time in nearly three years, the number of homes for sale increased year over year, albeit slightly, up 0.2 percent from last year. National inventory growth was led by surges in softening Coastal markets like San Jose (82.7%), Seattle (54.5%), San Diego (30.7%), and Boston (9.1%), according to national property broker Redfin. “The number of homes newly listed in September rose 3.6 percent year over year, but buyers seemed reluctant to make offers and purchase that new inventory, as September sales fell 4.8 percent year over year,” said Daryl Fairweather, Redfin chief economist. Home sales declined in 50 of the 71 largest metro areas that Redfin tracks. In metros where high home prices have already pushed buyers to their financial limits, rising mortgage rates may be dampening demand. As of last week, the average interest rate for a 30-year fixed-rate mortgage had crept up near 5 percent for the first time since 2011. Last year at this time, rates were still below 4 percent. The biggest sales declines were again in West Coast metros, including Seattle (-27.7%), Los Angeles (-21.5%), and San Jose (-20.8%). In San Jose, the typical home that sold in September spent 26 median days on the market, 12 days longer than last year. In Seattle, the typical home is taking a full week longer to find a buyer, at 17 median days on market. Meanwhile, metros in the heartland are kicking into high gear. Homes in Grand Rapids are going under contract in just 13 days, 15 days faster than they were last year. In Indianapolis, which is now tied with Boston as the third fastest market, homes are finding buyers in a median of 16 days, compared to 40 last year. “This acceleration in Midwest metros is due to increasing demand, as new residents move inland in search of affordability, without an increase in homes available for sale,” said Fairweather. • Grand Rapids, MI was the fastest market, with the typical home finding a buyer in just 13 days, down from 15 days from a year earlier. Omaha, NE was the next fastest market with 14 median days on market, followed by Indianapolis (16), Boston (16) and San Francisco (17). • The most competitive market in September was San Francisco where 71.8% of homes sold above list price, followed by 58.8% in Oakland, CA, 58.1% in San Jose, CA, 39.6% in Buffalo, NY, and 39.4% in Tacoma, WA. • San Francisco had the nation’s highest price growth, rising 14.6% since last year to $1,425,000. Las Vegas had the second highest growth at 12.9% year-over-year price growth, followed by Salt Lake City (11.7%), Worcester, MA (11.1%), and Philadelphia (10.4%). • 3 out of 71 metros saw price declines in September: Honolulu (-2.2%), St. Louis (-1%), and Houston (-0.4%). • Seattle saw the largest decline in sales since last year, falling 27.7%. 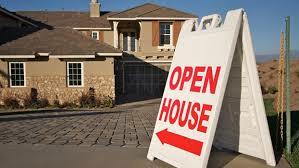 Home sales in Orange County, CA and Buffalo, NY declined by 23.6% and 22.0%, respectively. • In 7 out of 71 metros, sales surged by double digits from last year. The markets with the highest year-over-year sales growth were Miami (39.9%), Jacksonville, FL (28.1%) and Orlando, FL (26.2%). The strong sales growth in Florida this year is a response to last year’s sales slump due to hurricane activity. • San Jose, CA had the highest increase in the number of homes for sale, up 87.2% year over year, followed by Seattle (54.4%) and San Diego (30.7%). • Philadelphia had the largest decrease in overall inventory, falling 25.4% since last September. Montgomery County, PA (-22.2%), Indianapolis (-19.7%), and Rochester, NY (-18.2%) also saw far fewer homes available on the market than a year ago.